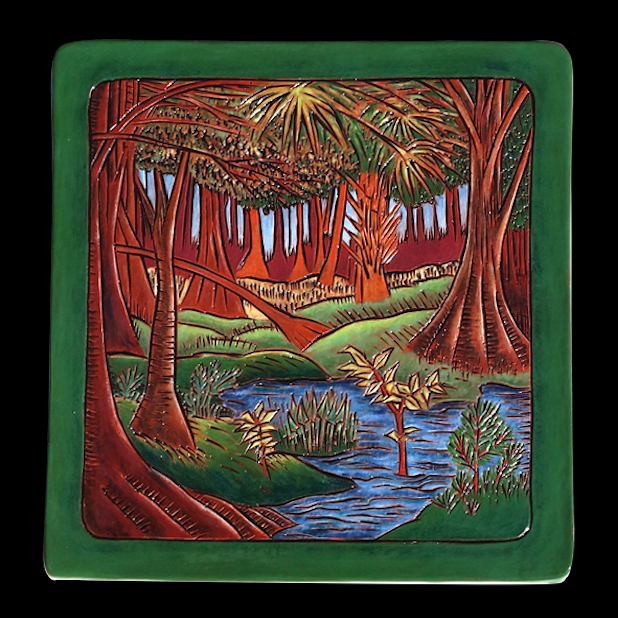 Doctrow displays three new ceramic tiles, featuring botanical and landscape imagery. 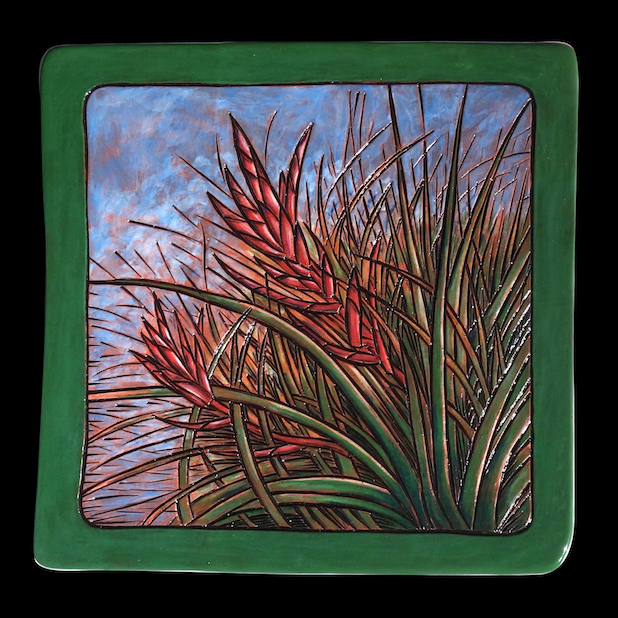 The process involves carving in clay, bisque firing, three coats of glazing, and glaze firing. 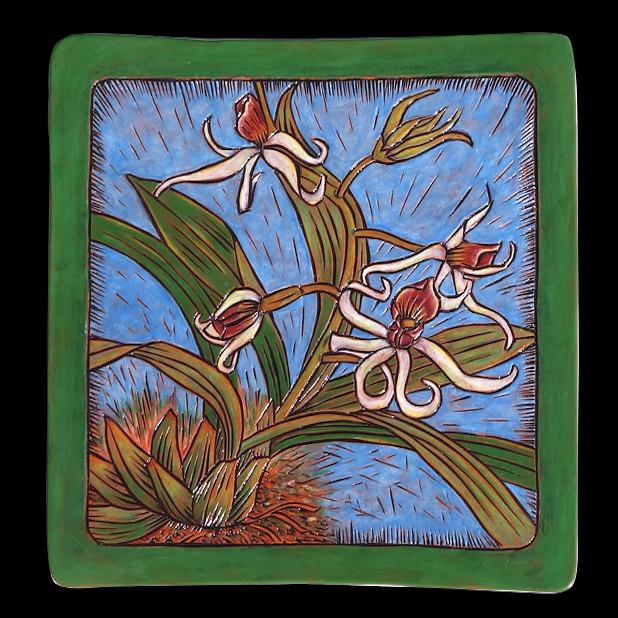 The process yields vibrant colors resulting in a carved ceramic tile-like painting. The tiles are mounted in shadow box frames. Check out the tiles and the other wonderful work on display at the gallery Arts on Douglas.